New Triton Plus Machine arrived! Dissolve rocks, collect element of concern, load elements to the filament, then run mass spectrometry. 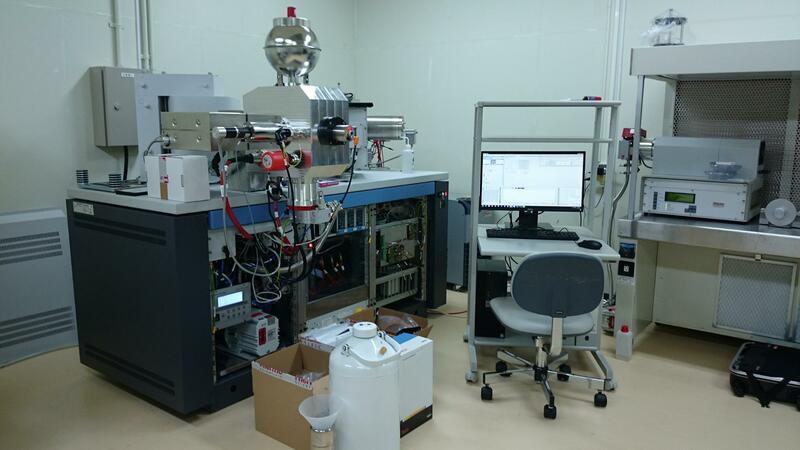 The new TIMS Triton plus will enhance the most fundamental techniques to determine element concentration and isotope composition. The new Triton was delivered with new electronics and high sensitive detectors. Since there is significant improvement in automation, overnight acquisitions are more reliable. With double spiking, we plan to expand our isotope scope to transition metals.